A 65-GALLON GREEN RECYCLING CART HAS SHOWN UP ON your curb and, well… every other curb in the neighborhood. Where did it come from? What can be recycled in it? Is there a cost? (Southeastern Oakland Resource Recovery Administration), gave me all the details you need to know about the cart program. 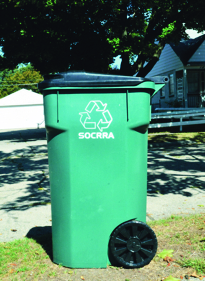 SOCRRA is a municipal corporation responsible for recycling, trash and yard waste in 12 member com-munities in metro Detroit. 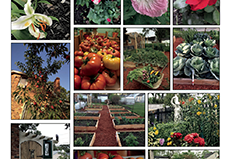 Founded in the 1950s, it covers the cities of Berkley, Beverly Hills, Birming-ham, Clawson, Ferndale, Hazel Park, Huntington Woods, Lathrup Village, Oak Park, Pleasant Ridge, Royal Oak and Troy. The carts have been delivered to almost 100,000 single-family households in these cities and are meant for mixed recycling, which means there is no longer a need to sort your recyclables prior to pick up. 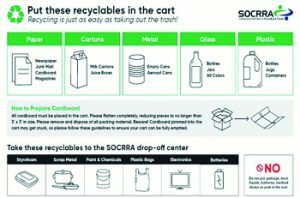 While the carts do allow for mixed recyclables, there are still some limits to what can be put curbside and what needs to be dropped off at SOCRRA’s recycling center. All carts were delivered with informational paperwork breaking down the details, but paper, cartons, cans, glass and plastic jugs, bottles and containers are all acceptable materials. Cardboard can be recycled in carts too, it just has to be broken down into three-foot by three-foot pieces. 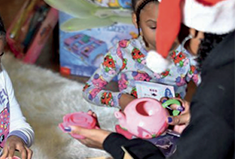 (Some bins were distributed with incorrect instructions which humorously stated three inches instead of three feet). Distribution of carts started in July, and was completed on September 8th at no cost to residents. Prompt-ed by an initiative by Gov. Snyder to double recycling within the next two years, the Michigan Department of Environmental Quality was able to purchase the arts through grant funding from nonprofit The Recycling Partnership. “The goal is to increase recycling rates in our communities and we didn’t want the cost of the cart to be an obstacle in achieving this goal,” Farris says. So far, the carts seem to be making a difference. In August, 2,017 tons of recyclables were collected compared to 1,733 tons in August 2016 – a 16 per cent increase. Farris only expects this number to increase now that all carts have been delivered. SOCRRA encourages everyone to try the carts for two or three months but for those that decide not to keep theirs, they will take them back. The old bins being replaced by carts are for residents to keep, but can be returned to the recycling center also. Most feedback SOCRRA has received has been positive but Farris encourages residents to reach out with any comments or questions. Contact SOCRRA at socrra@socrra.org, check out their web site, www.socrra.org, or call the administrative office (248) 288-5150 if you have specific questions about recycling.